The next evolution of heavy-cutting high-gloss compounds! 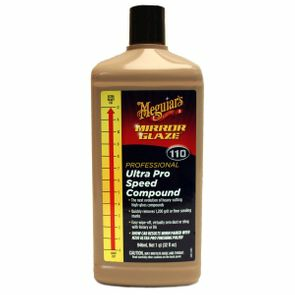 Meguiar's M110 Mirror Glaze Ultra Pro Speed Compound is the next evolution in advanced cutting compounds. Formulated with professional body shops and detailers in mind, this all-new formula delivers a quick and heavy cut and high gloss depth of shine at the same time. Pro Speed Compound has a long work cycle with the ability to remove up to 1,200 grit sanding marks while delivering an extremely high gloss finish. This exclusive formula is body shop safe and wipes off easily with virtually no dust or sling. 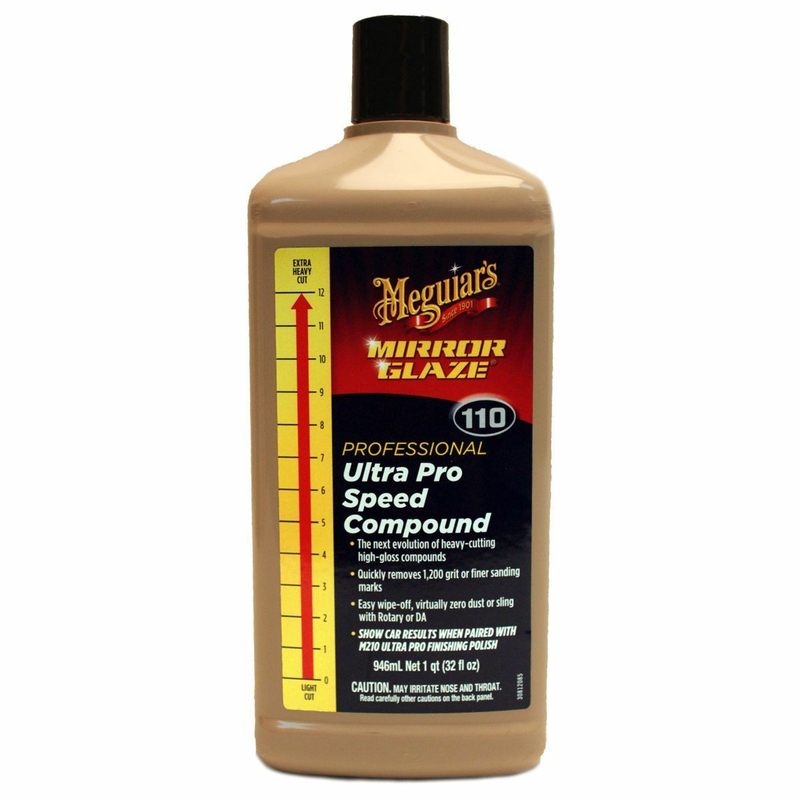 M110 is also a versatile compound that is safe and effective when working by hand, Dual Action Polisher or Rotary Buffer, and is available in a 32 ounce and 1 gallon sizes. For the absolute best results, follow Pro Speed Compound with Meguiar's� M210 Mirror Glaze� Ultra Pro Finishing Polish to obtain show car swirl-free results!